One of the things Apple briefly touched on in announcing the Apple Watch Series 3 last week was the W2, a new self-designed wireless chip that's nominally the successor to the W1 found in audio accessories like AirPods and the Powerbeats3. But what advantages does it offer, and why is it in a watch instead? 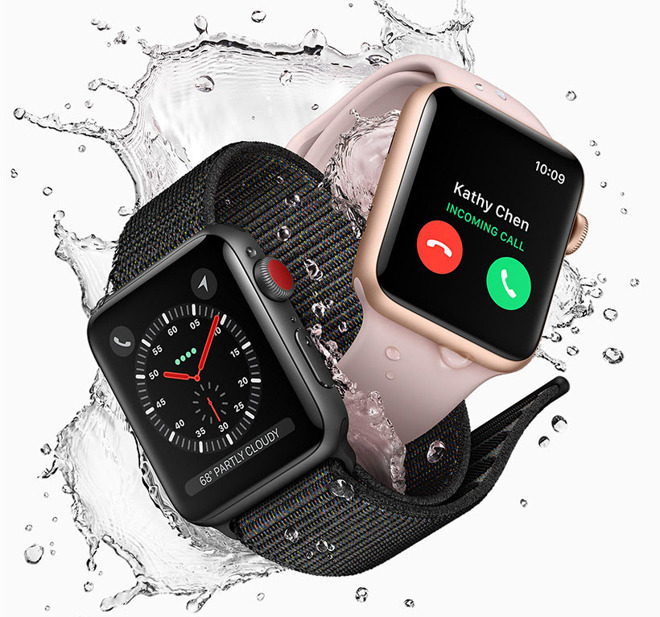 Apple has been coy about the subject, saying only that it boosts the Watch's Wi-Fi speeds "up to 85 percent" while making both Bluetooth and Wi-Fi "50 percent more power efficient." In fact an official specifications page mentions only an "Apple wireless chip," despite marketing elsewhere. The chip's purpose isn't so much a dramatic performance boost as it is smoothing out the Watch experience. The Series 3 still only supports 2.4-gigahertz 802.11n Wi-Fi, for instance, so don't expect to max out a Google Fiber line anytime soon. Above all, Apple's main concern seems to be offsetting the extra power consumption from LTE/UMTS cellular support in some models. Both the Series 2 and the Series 3 (cellular and non-cellular) are rated "up to" 18 hours of battery life, and while it remains to be seen how LTE will affect this, just coming close to that maximum would be an achievement. Reducing battery drain also means keeping the battery the same size, or smaller, ensuring that the Series 3 is imperceptibly bigger. On stage, Apple COO Jeff Williams made a point of attacking some other LTE-equipped smartwatches, arguing that "if you don't do it right, it gets so big it looks like a house arrest bracelet." The narrow goals of the W2 are obvious when you consider that the chip isn't in Apple's high-end Beats Studio 3 Wireless, announced a week prior to the Series 3, or in the iPhone 8 and X. A general-purpose component might be valuable to company, but that will probably have to wait until 2018 —if not later.